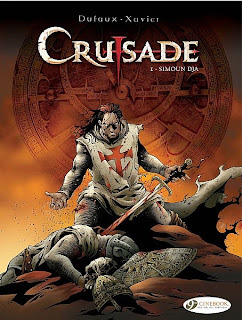 Cinebook, the Canterbury based publisher of translated Franco-Belgian graphic novels, have released their catalogue for the second half of 2010 and it includes new series that haven't been translated into English before. These new series are Long John Silver, written by Xavier Dorison with art by Mathieu Lauffrey, and Crusade, written by Jean Dufaux with art by Phillippe Xavier. Long John Silver is, as you would expect, a sequel to Robert Louis Stephenson's novel Treasure Island set 20 years later while Crusade is a supernatural tale set in the middle ages during a forgotten crusade to the Holy Land. The first Crusade title is Simoun Dja and will be released in October while the first Long John Silver title is Lady Vivian Hastings and it is released in November. Both series are rated 15+ by Cinebook. The first book in the contemporary thriller XIII series, The Day Of The Black Sun, written by Jean Van Hamme with art by William Vance, is due to be published in May and the new catalogue shows that they will continue to be published at a rate of one book every other month. The series runs to 19 albums and while the first three have previously been translated into English and published in America, Cinebook intend to publish the complete set with the fourth book, SPADS, due in November 2010, the first time that it will have been published in English. The other big series that Cinebook are be starting is Valerian and Laureline. This is one of the best known and highly regarded Franco-Belgian science-fiction series running to 23 albums. 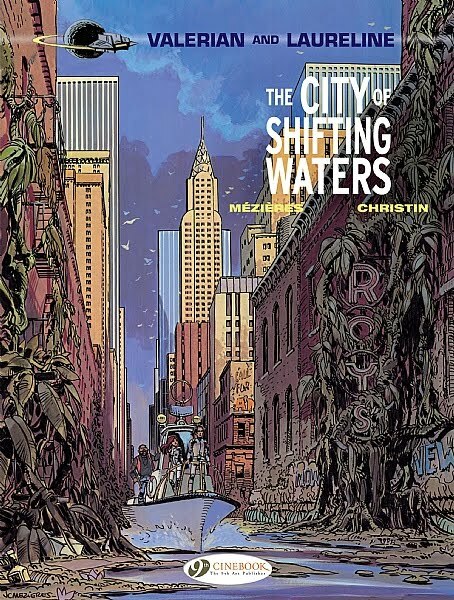 Written by Pierre Christin with art by Jean-Claude Mezieres, the books tell the stories of two spatio-temporal agents, the 28th century born Valerian and his female companion Laureline who comes from the Middle Ages. With both spacecraft and time machines available to them the series has the same potential as Doctor Who for a vast range of settings. The Valerian and Laureline books have had sporadic English language releases before with the only UK publications being four books published by Hodder-Dargaud in the mid-1980s. Cinebook will be starting with The City Of Shifting Waters which is the first book in the French series although, confusingly, there is a prequel 'Book Zero' that was published afterwards. While the story originally began in Pilote magazine in November 1967 this will be the first time that this particular story has been published in English and Cinebook are releasing it in July. More details of each series are available on the Cinebook website where the new catalogue is available as a PDF download.